So I stumbled upon the recipe for these Sour Cream Sugar Cookies in the cookbook my Grandma made for me last fall. I never would have guessed how popular it would become! The problem is, some people loved it and some people hated it. The issue was that those who didn’t like the recipe really didn’t know what to expect — the cookies are soft and cakey. They are not sugar cookies for rolling or cutting, and they’re pretty delicate. I wanted to try leaving out some of the moisture this time to get a slightly firmer cookie. These cookies are still very soft, and cakey, and delicious. If you’re looking for a firm sugar cookie — this recipe is not it. But they melt in your mouth and will be gone in no time! I also wanted to add lemon because we love lemon. We love it big time. With Easter coming up, my mind always goes to fresh, Springy flavors and potluck foods. Easter is a bit of a wildcard here in Manitoba — it can be cold, it can be really cold, or it can be pretty warm. You never really know what you’re going to get! I would love to hear what your favorite Spring meals or treats are! Smoothies, popsicles, fruit salads, Easter meals? I’m itching for some fresh inspiration! 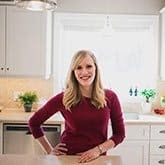 If you haven’t yet, be sure to join my Facebook group to stay up to date on new recipes and take part in polls and surveys to help me pick the best recipes to show you here! Watch the recipe video to see how easy they are to make! 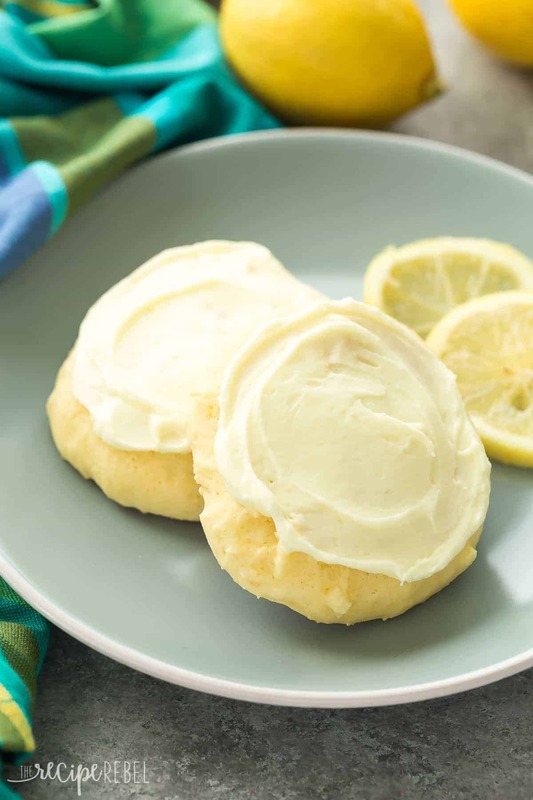 These Lemon Sour Cream Sugar Cookies are soft, moist and loaded with lemon! There's no chilling or rolling -- just stir, drop, bake and frost (if you want to!). Perfect for Easter or Christmas baking. Preheat oven to 350 degrees F and line 4 baking sheets with parchment paper. In a large bowl with an electric mixer, beat butter until smooth. Add sugar and beat until light and fluffy, about 2-3 minutes. Add eggs, sour cream, lemon zest, and lemon juice and beat until combined. Add the baking soda, baking powder and flour and beat just until combined. Dough will be the consistency of thick cake batter -- it is quite sticky and soft. Drop dough by heaping tablespoonfuls onto prepared baking sheets (I get 6 on a regular baking sheet -- my cookies are large! ), trying to make drops as round as possible. Bake for 10-11 minutes or until no longer glistening in the center. Cool completely. FrostingWith an electric mixer, beat butter until smooth. Add sugar and just enough lemon juice to make a smooth, thick frosting (you can add a teaspoon of milk if it is too thick). Color with yellow food coloring if desired. When cookies are completely cool, spread with an even layer of frosting and serve. 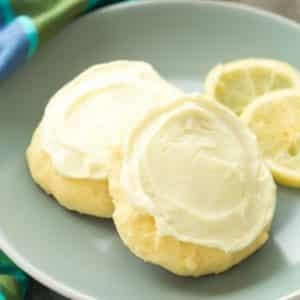 *I use the juice of 2 lemons and no milk and the frosting has a strong lemon flavor -- if you prefer less zing, use the juice of 1 lemon and just enough milk to reach desired consistency. **My cookies are very large. You can definitely make smaller cookies and the recipe will yield more, you will just want to decrease the baking time. Thanks Rachael! I’m so happy to hear you liked them! My comment was in reply to Belinda’s post. Thanks for sharing your experience Lori! Can you use margarine instead of butter? I’ve made them a few times and everyone loves them and I need to make more and don’t have any butter and there’s a winter storm going on right now so I can’t get out to the store. I would use hard margarine if you have it (not the tub) and then it will work fine! Wow! This is awesomely yummy! Thank you so much! Please tell me what I did wrong….I love a soft, cake-like cookie. 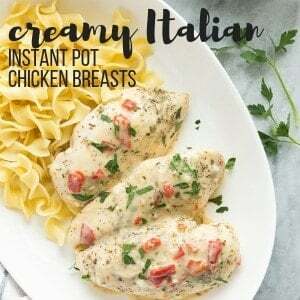 So I was excited when I found this recipe. The cookie tasted like flour—just not good 🙁 I used Bob’s gluten free flour and I sifted it. I’m thinking that’s where I went wrong. I haven’t ever made them with gluten-free flour so I can’t really say for sure. I would try adding a little more vanilla or lemon zest to mask the flavor if you find it’s a problem. Love all the helpful comments/ideas here! I have too many limes, and need recipes to use them up, so what’s your opinion on using fresh lime juice and zest here in an even swap? Will it end up too bitter? Maybe I’ll lemon half the batch and lime the other half to see. Thanks for sharing! For sure! I think it will work out just fine! These cookies are AH-MA-ZING! They combine my two favorite things… Yes, lemon and sour cream are my favorite flavors. Why? My husband says (in jest) that it’s because I’m bitter and don’t like to share. On that note, I am happy to report that my kids hate these cookies, so I do not, in fact, have to share. ? I’m never sure how much zest to use on things. When you say you used the zest of 2 lemons about how much do you think that yield? It will depend on the lemon. 1 lemon might yield a couple of tablespoons. This was a very easy recipe and they are delicious. I will be making them again for my husband, he loved them. Not a huge fan of lemon but love to try new things. OMG!! Next batch will need more lemon, I scaled back my first try, but they are lemony, light, delicious. Love the frosting, adds a zing that compliments the cookie so well. 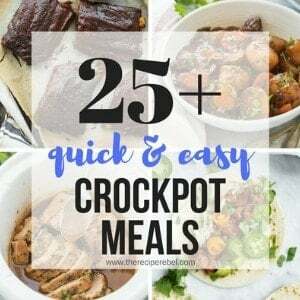 Thank you for sharing this fabulous recipe. I’m so so glad you enjoyed them Kathryn! How much extra lemon juice do you think could be added without impacting the consistency of the batter? I botched a “tried and true” lemon bar recipe by adding too much lemon juice (they didn’t set), and my husband isn’t a fan of zest… Can’t wait to try this recipe!!! If you are wanting to add more lemon to the cookie, I definitely recommend zest. You will get a more concentrated lemon flavor, and you will never notice any change in texture. Your only other option might be to try a lemon extract, but I definitely wouldn’t add more juice. Extra zest worked perfectly!!! Thank you!! I zest my citrus (I’ve tried this with lemon, as well as an orange/grapefruit combo that turned out great!) then chop it up as fine as I have the patience for. This avoids any strips of zest for those that don’t care for them and helps ensure the flavor is spread everywhere. I also add zest to the frosting, again chopping it up super fine. I mixed cookies. Can I refrigerate them and cook next day? I honestly have never tried that so I’m not sure what would happen. How did it go for you? Jusr finished a double batch for a BBQ, and they are wonderful! Added a little salt just because I think it brings out the flavor and POW these are GREAT! Will make these again for sure! Love lemon and this is LEMON! That makes me so happy Debra! I’m glad you liked them! Do you think I could use gluten free baking flour instead? I really can’t say as I’ve never tried it with gluten-free flour. If you do try it I’d love to hear how it turns out! I made these using King Arthur 1 for 1 gluten free flour. Couldn’t tell the difference! Came out light and moist. Son ate them all in 2 days. I added about 4 ozs. cream cheese to frosting and a little extra lemon juice. Great cookies! I’m so glad to hear that worked well! I used Bob’s Red Mill GF 1:1 (the blue label, not the red label) and I think I may have overcooked a little as mine turned out a little crunchier on the outside, but the middle was still nice and soft. I’m interested to see what liquid you took out as it might be perfect for the GF flour which tends to be drier, my frosting ended up more of a glaze, though. I dipped the top of each cookie in and let them set on a cookie rack over the parchment paper. 1 lemon usually yields 1 Tbsp zest and 2 Tbsp juice. I used 1 Tbsp True Lemon powder in place of the zest (tried these the day before Canadian Thanksgiving, no way am I going near a store today!) and the flavour was great. Do you have to use parchment paper? Will greasing the pan work or no grease? I would grease the pan just to be sure! Could you put these thru a cookie press, do you think, or are they too soft? Maybe if I chilled the dough overnight? I think they’d definitely be too soft. I have never tried refrigerating the dough so I can’t advise on that. These sound delicious. Do you use salted or unsalted butter? Absolutely delish cookie. It sings spring. The only thing I did different was that I only used 4 cups of flour. They turned out wonderful Just like the pics. Thanks Jeryl! So happy to hear you enjoyed them! So I made these cookies yesterday. They went over well with folks at my Mother-in-laws place of employment. Some of the comments I got back were “soft, fluffy, melt in your mouth, just the right amount of lemon, thanks for bringing them”. Plus I got a number of requests for the recipe and the website in which I found it. However my one SOLE Comment is on the Recommended Yield that should come if you follow the recipe. The Count on the Recipe stated that this recipe “Serves 24”. Does that mean that the serving size is 2 cookies or that you should only get 24 cookies from the recipe? I ask because I followed the Recipe exactly and with using the Biggest Cookie measuring scoop available. I got 48 cookies out of this recipe. I wanted to bring this to your attention so that you can correct it on the website in case anyone else is equally confused. I have quite a bit of personal baking experience…but for the sake of the new and inexperienced baker…this should be clarified a bit more. Can you do this? 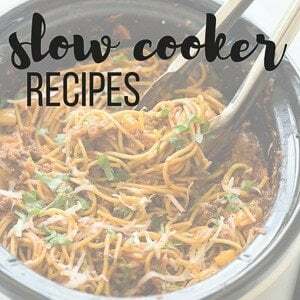 This was an EXCELLENT Recipe and I look forward to making it again and perhaps making a few personal changes to it and experimenting with it featuring other citrus flavors. Hi Rick! I’m so glad that you and the rest of your taste testers enjoyed them! I put that it serves 24 because I get 24 cookies out of this recipe. I’m not sure if you can tell from the photos or the video, but my cookies are quite large. I use a tablespoon, get a large scoop of dough and drop onto the pan. On a regular baking sheet I bake 6 cookies (as I think you can see in the video). So I don’t think it’s misleading because that’s exactly what I get. I understand some may make smaller cookies and will get more, but that’s not really something I can control. I will update the recipe to give more details about the size. Thanks for your feedback! Who cares how many they actually make as the cookie is fabulous! More is great! It’s an added bonus. LOL! Perhaps if a person actually wants only ‘X’ number of cookies, they should try freezing the remaining cookie dough. ? I used the Pampered Chef medium cookie scoop which holds 2 Tbsp and ended up with 28 and I made a half a recipe (trial run because I was using GF flour and True Lemon instead of zest), so mine must be the size of Rick’s. I used GF flour and they didn’t spread much, nice little humps 2.25 inches in diameter each. Do they have to be refridgerated? For instance, if you wanted to bake them and mail them. Or would they be fine in transit. I generally wouldn’t mail frosted cookies because they keep best refrigerated. My husband just made these and for some reason they came out like thick cake. I went over the recipe to see if he had missed something and he followed it correctly. I noticed they call for an awful large amount of flour? Even the dough itself was quite sticky. Any thoughts on what could’ve happened? So disappointed bc I had to buy a lot of the ingredients and was so excited about these since I love lemon! Sorry, after reading some of the other comments below; I realized they are supposed to be cake-like. And they taste very good with the icing! I just was expecting a regular sugar lemon cookie consistency. Yes, and please, please read the post thoroughly. Many times I reference the type of cookie you should be expecting, and I say that if you are expecting a regular sugar cookie that this is not the recipe. I write all those words for a reason! I’m glad they tasted good! How much would the juice of 1 lemon be. I don’t have lemons just lemon juice? Would you freeze them already iced? Or ice them you are ready to serve? I freeze them iced, just because it’s so easy to serve then. Just stack them with wax paper when you freeze! I’m at about 1200 feet. I’m actually not sure how to make adjustments for high elevation. These are really good half of the batch turned out perfect. I’m not sure why the other half was undercooked I cook them for longer than it said. The only thing I wish is that I bought some frosting for the, because the frosting it says to make is just a glaze, and he’s kind of big sugar cookies need a lot of frosting and not just a glaze. I’ve tried everything and it tells me to do to make it thicker online but nothing’s working so far. What should I do? For next time. Hi Madison! I am honestly not really sure what happened to the half of your cookies. It could be a lot of things. Did you bake one pan on the top and one of the bottom? Was the oven door left open too long and the temperature was lower? Because all ovens vary so greatly it’s really important to go by the look than the exact baking time. If they look done on top, they are done. They are a moist cookie, so they may look moist inside. The frosting is definitely pretty thick, so it sounds like your butter may have been too soft or your measurements might be off slightly. Next time, I would just be sure to add the juice gradually until your desired thickness. If you do find it ends up too thin, the only thing you can really do is to add more powdered sugar. I hope that helps! Do you adjust the recipe for fresh lemon peel vs. dehydrated lemon peel or store bought spice? If so, what are the adjustments? I’ve actually never use dehydrated lemon peel so I can’t say how that would change the recipe. Use powdered sugar instead of sugar and when you are finishing the frosting keep gradually sturring in powdered sugar until it reaches the consistency you desire. Powdered icing sugar is actually exactly the same as powdered sugar — there is only one, at least where I live. If it was too thin, then just use a little less juice or more sugar. I don’t recommend adding corn starch. Ok, somewhere I read about that but next time I will try to just add a little bit of liquid at a time. Also do you know the nutrition value how many calories per cookie? I don’t usually calculate nutrition information for desserts, since they’re always going to be a splurge (unless I label something as lightened up or healthier). You can plug the ingredients into My Fitness Pal to figure it out if you want. Could I use lemon juice I buy from a store? I never can squeeze a lemon well enough to produce a lot of juice. You can definitely substitute the juice in the recipe for store bought lemon juice, but the zest is really what’s going to give you all the punchy lemon flavor so I would try not to skip out on that part! If you find one of those lemon juicers, that’s what I use and they come in super handy and get tons of juice out! So the frosting is a lot thinner than the photo. I did not add milk. I’m so happy to hear that! Thanks for sharing! There has to be one of us out here to ask this question; of course. Gluten Free Flour? I think I can already see what you answer may be to this one!! Haha! Sorry Carole! I honestly have never baked with gluten-free flour, so I am not sure. Someone else may have a better idea. Did you try them with GF flour? I was wondering the same thing. Thanks! I used Bob’s Red Mill 1:1 (the blue label, not red) and they did well, though they didn’t spread a lot so you can put quite a few on one tray, I used a medium pampered chef 2 Tbsp cookie scoop and they ended up 2.25 diameter little humps. Has anyone used orange zest and orange juice instead? I haven’t, but I’m assuming it would work just as well. Can you leave the zest out and use lemon juice instead of lemons? How much juice would you use instead of lemons? I actually wouldn’t recommend it. 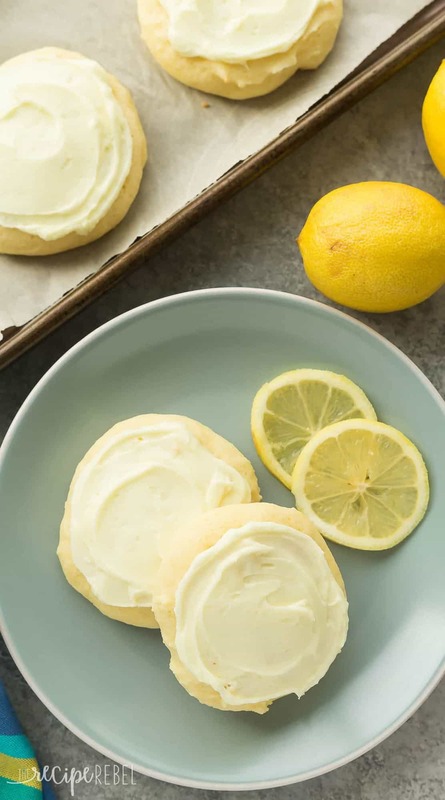 Lemon juice is more acidic than zest and will change the whole cookie. It also has way less lemon flavor, so you’d have to add a ton of it which would also change the cookie a lot. If you don’t have access to fresh lemons, you could leave it out, and add some vanilla extract or try adding lemon extract instead. I hope that helps! what about stevia i stead of sugar? equal parts? Yes you can definitely try it. I’ve never baked with Stevia so I can’t really advise. Thanks JoAnne! It’s funny, my family used to mix cream and brown sugar to dip one of our pastries in, it was totally indulgent but we loved it whenever we could get our hands on it! Sugar cookies are my FAVORITE! My Aunt has a great recipe that I need to get from her, and it’s the cakey kind too…pretty much my version of a perfect sugar cookie. Love the lemon frosting on here, perfect for spring! Thanks Gayle! I never appreciated them enough when she was around! Could I use Greek Yogurt instead of Sourcream? I may try this next time I make them with Gluten free flour, I have a chocolate chip GF recipe that uses just 1/4 cup of cream cheese and you’d never know they were GF! I’d love to hear how they turn out! So perfect for spring!! Love lemon based desserts!! Are these freezeable? Freeze unfrosted maybe? 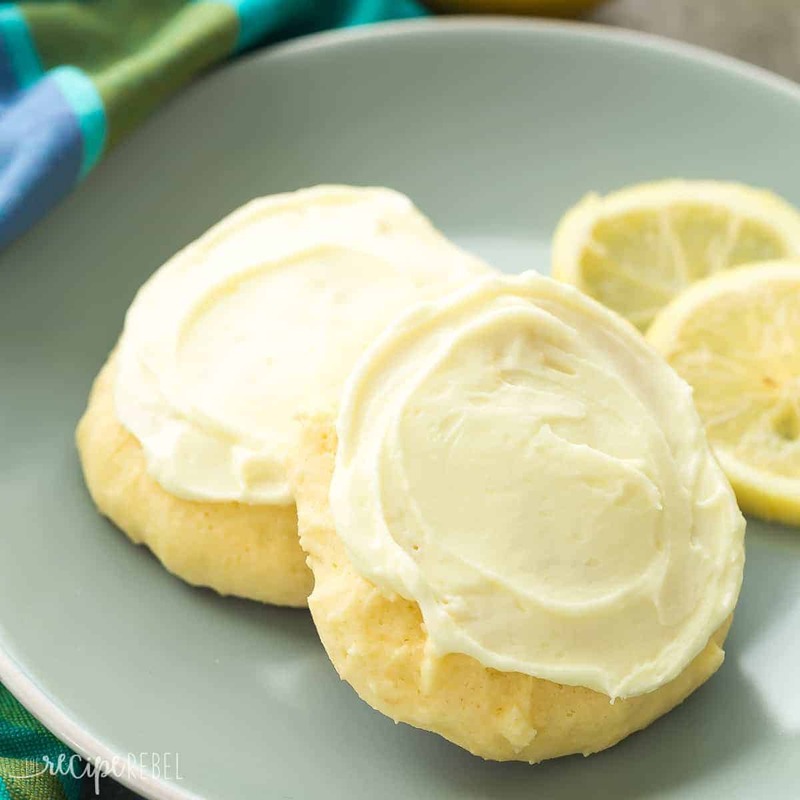 A lemony, melt in your mouth cookie sounds like the PERFECT spring dessert – I wish I had one of these right now!! My family; especially my husband is going to love these. I’m ALL about a cakey sugar cookie! Especially when it’s frosted and lemon-y :). These sound wonderful and so perfect for spring!